V Narayanasamy asked Bedi to should change her ‘style of undemocratic day-to-day governance’ and alleged that Narendra Modi was instigating her. Puducherry Chief Minister V Narayanasamy has accused Lieutenant Governor Kiran Bedi of “continuous acts of high-handed dictatorship” as he continued a sit-in protest with his ministers outside the Raj Nivas on Thursday, PTI reported on Thursday. In a letter to Bedi the day before, Narayanasamy had asked the lieutenant governor to change her “style of undemocratic day-to-day governance”. Narayanasamy started the demonstration outside Bedi’s official residence on Wednesday afternoon in protest against her directive to enforce a helmet rule in the Union territory immediately. He also claimed that she had yet to approve 39 pending government proposals. 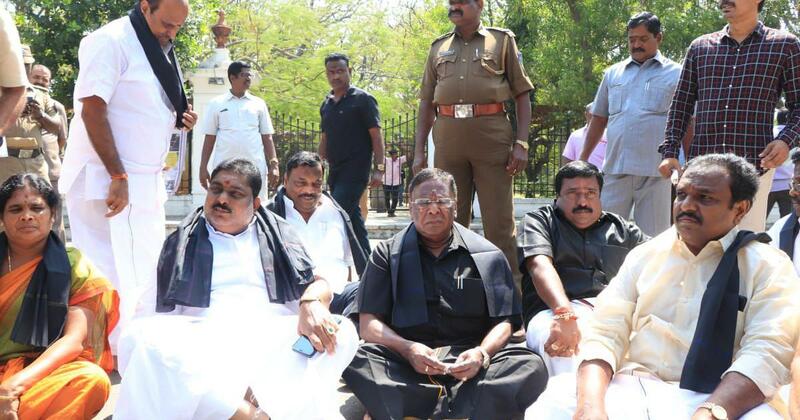 Narayanasamy, his ministers and party legislators slept on a pavement close to the Raj Nivas on Wednesday night. Congress and Dravida Munnetra Kazhagam workers joined the protest on Thursday, according to PTI. Bedi tweeted a letter she wrote to the chief minister on Wednesday evening, calling the protest unlawful. She said Narayanasamy had written to her on February 7 and instead of waiting for a response he had come to Raj Nivas for a dharna. 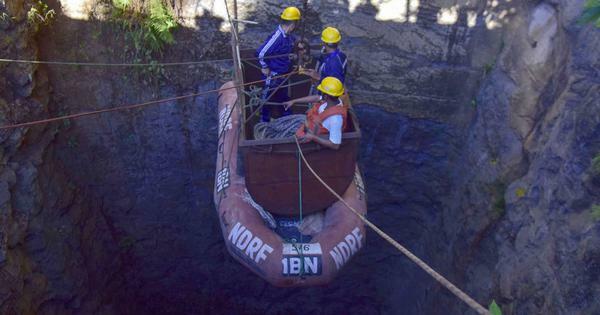 “The letter didn’t say that ‘if you don’t reply by 13th February, I’ll sit on a dharna’” she said. She said his concerns needed “examination for a considered response”. Bedi told ANI that she was on tour till February 20 starting Thursday and that she wrote to Narayanasamy suggesting that a meeting be held on February 21. On Wednesday evening, the police barricaded the Raj Nivas and the surrounding streets to prevent unauthorised persons from entering the area. On February 10, Bedi herself took to the streets and instructed people to wear helmets. Around 30,000 people have been booked since February 11 for riding motorcycles without helmets, PTI reported. The Dravida Munnetra Kazhagam has extended its support to Narayanasamy’s protest.